Generally, less is more when it comes to jewelry for men. Tasteful and classy pieces go well with your entire wardrobe and aren’t too flashy. They should complement each other, but not be a matching set. It’s just what you need to polish off your summer look or bring warmth to your winter wardrobe. They should reflect your personal character and be consistent with your style. Choose wisely when wearing a gold chain versus a plaid bowtie. What message do you want to send? Small touches that provide versatility are perfect, and if they have sentimental value, even better. Here are three of our favorite ideas for men’s jewelry. They’re simple, subtle, and striking. Add any or all of these to your collection, and you’ll always have a piece of jewelry for every occasion. Necklaces go great with casual outfits in the summer and more sophisticated shirts with nice dinner jackets. Lower necklines lend themselves well to a thin chain. Classic metals minimize the appearance of flashy jewelry and make you look clean and fashionable. The Coordinates Collection of necklaces offers masculine bars, chains adorned with simple coins, and flat, stylish pieces. Display the coordinates of the most important date in your life proudly for an everyday conversation piece that you can show off and enjoy. Not every guy enjoys wearing bracelets. Some think they’re too feminine, but that couldn’t be farther from the truth. 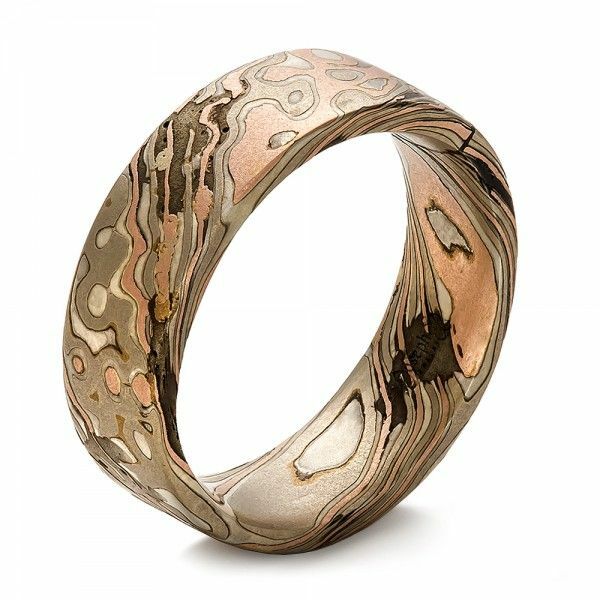 A thick, masculine band highlights the strength in your upper body and looks great with casual short sleeves or under a long-sleeved button down. You can’t go wrong with a unique and tailored metal bracelet that compliments your entire wardrobe. It gives you a little something extra and is both rugged and handsome. Keep bracelets understated for the optimal look. One, or maybe two stacked, is the perfect amount. Check out Coordinates Collection for a variety of bracelet options for men. From a linked bracelet with a single charm to solid bands and cuffs, you’ll find the perfect piece to highlight that significant date in your personal history. As long as you stay away from delicate rings, they’re a great accessory to your wardrobe and can be very manly. Replace dainty with virile and vintage. Something that looks broken in has a bit more character and looks hardy. Thin, stacked rings make great pinky rings while thicker pieces go well on a ring finger. The Coordinates Collection of solid metal bands and open back rings will display your wedding location or your son’s birthplace prominently and bring joy when you wear it. Keep your jewelry as simple and understated as possible. You’ll achieve the masculine and versatile look you want while building a meaningful collection of unique pieces. Coordinates Collection offers many options to help you create or enhance your style. Find the right accessory to accentuate your character, highlight your personality, and give you a close and constant reminder of the most significant moments and places in your life.